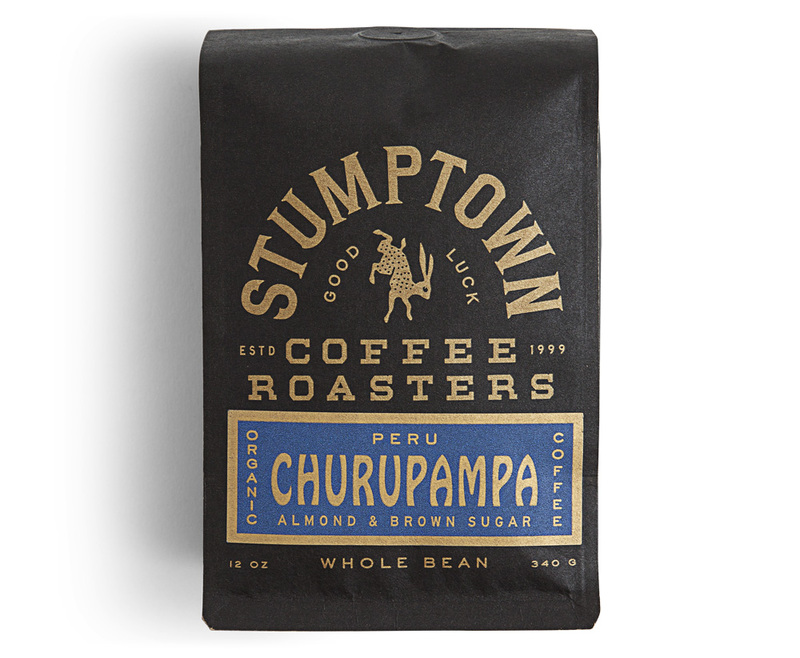 Established in 1999, Stumptown Coffee Roasters is a coffee roaster based in Portland, OR, that sources its coffee directly from farmers in Ethiopia, Colombia, Indonesia, and 10 other countries around the world. 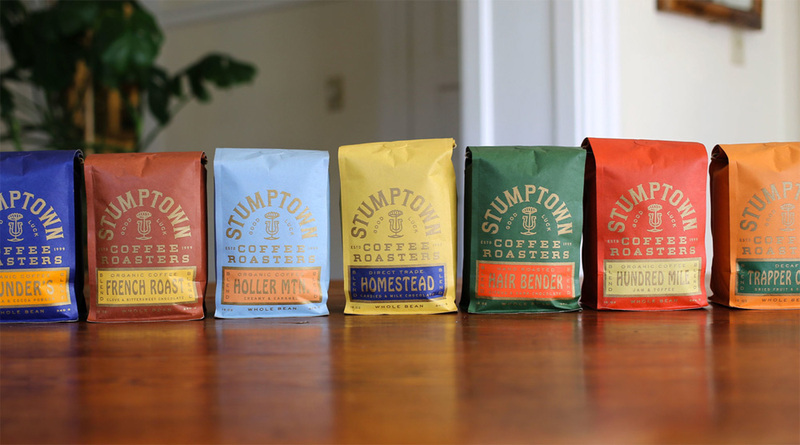 Stumptown is credited with the rise of craft, independent coffee roasters and elevating the coffee-drinking experience. 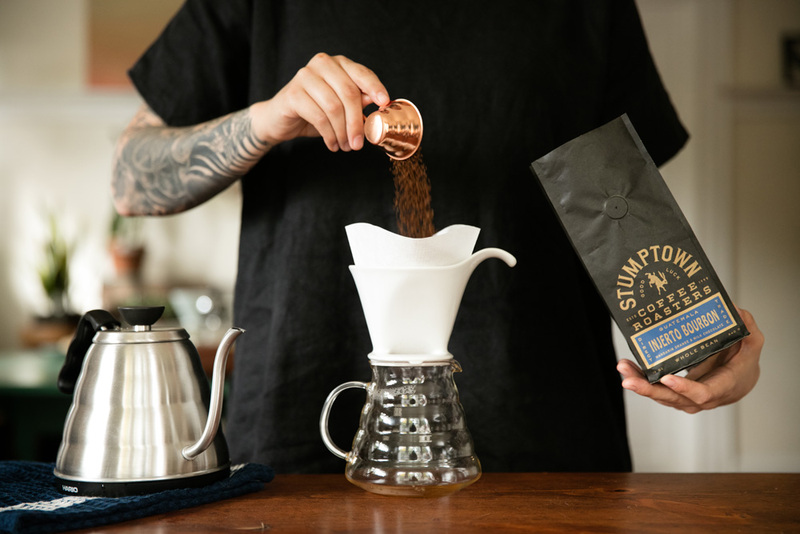 With four locations in Portland (plus one in its airport), Stumptown has opened one store in Seattle, two in New York (one inside the trendy Ace Hotel), and one each in Los Angeles and New Orleans. Aside from coffee beans, they also sell a packaged cold brew and tea, plus gear and swag for days. 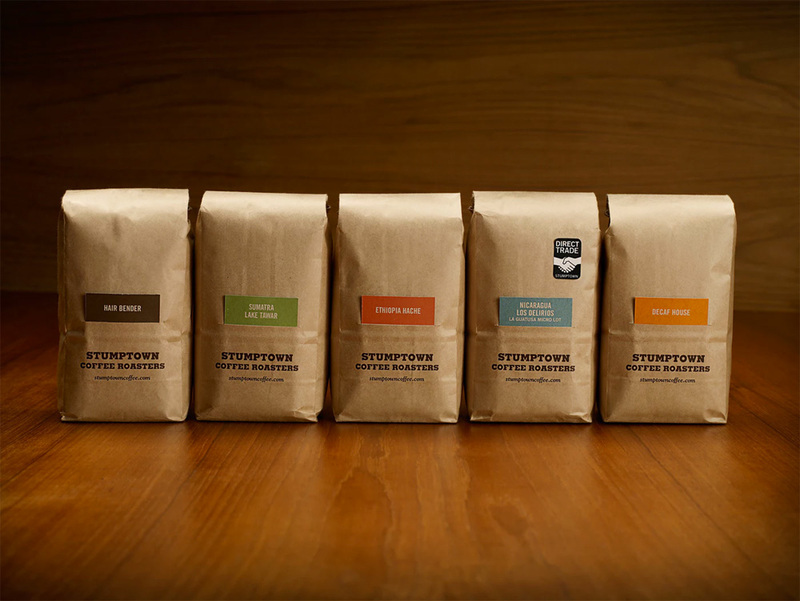 Recently, Stumptown introduced new packaging for its coffee beans, designed by Austin, TX-based LAND. Old packaging, designed by OMFGCO. The old bags were nice but not entirely exciting. 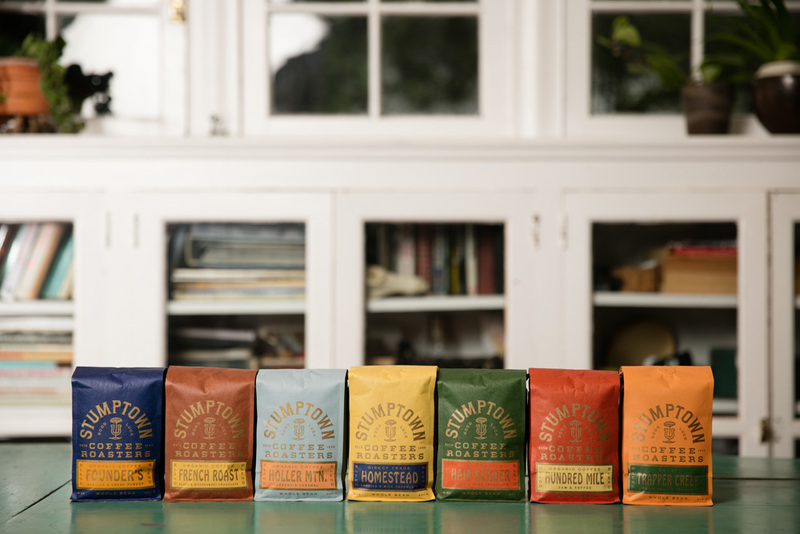 Function-wise, they were pretty perfect, with each bag having a slit in the front where labels could be inserted for each coffee variety, making it easy to have a broad range of flavors while only bulk-printing one bag. The kraft paper look has always conveyed “artisanal” but with everything these days being artisanal and sold in kraft paper it’s not a bad idea to, as they say, zig while others zag, which is a trite but true thing to say. 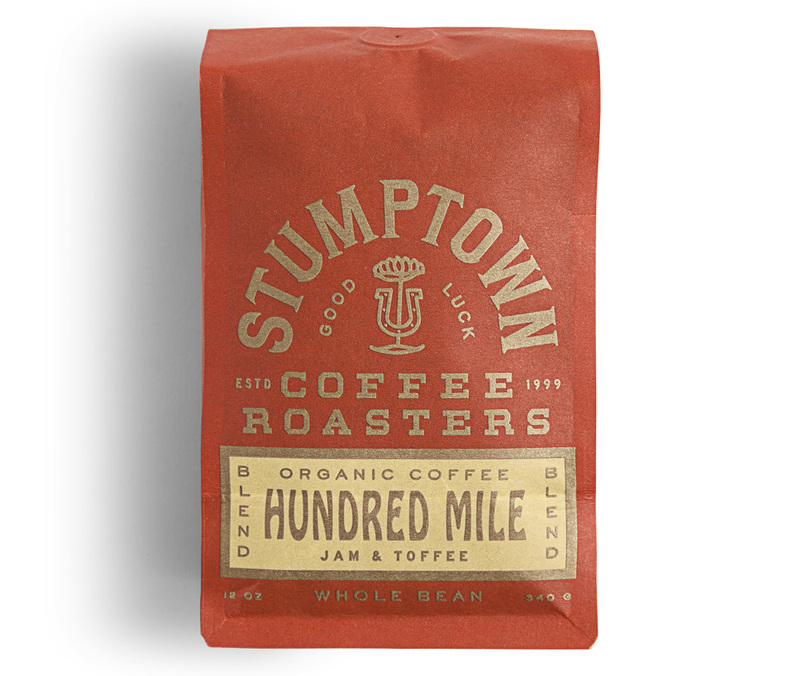 After 17 years of using the utilitarian brown bags and card system - Stumptown decided to switch to a more environmentally sustainable bag that would better preserve the freshness of their coffee. 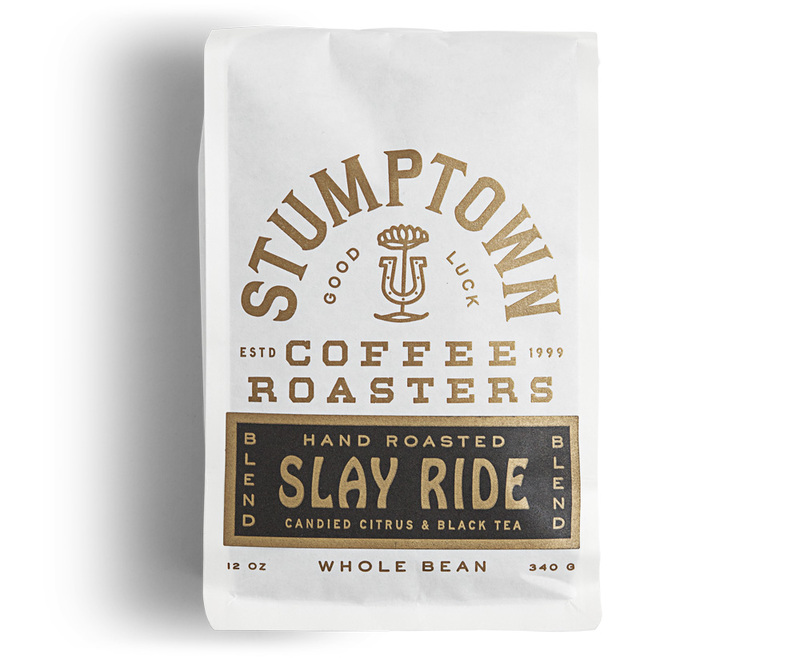 The design process was led by the goal of paying homage to the rich and vibrant cultures, lands and peoples that farm the coffee and connecting that with the bohemian spirit of Stumptown and its home of Portland, Oregon. That process eventually yielded the color palette, playful illustrations and typography used throughout the design system. 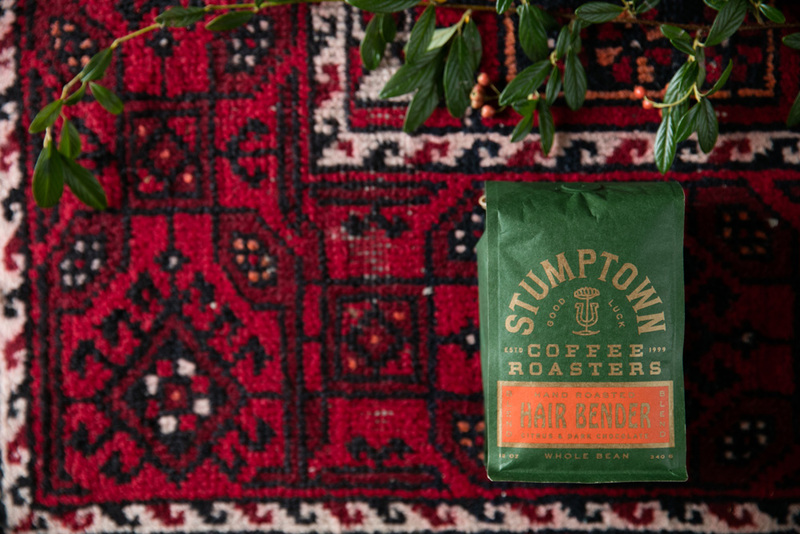 What is so good about these bags, you might ask, besides the handsome good looks? Great question. 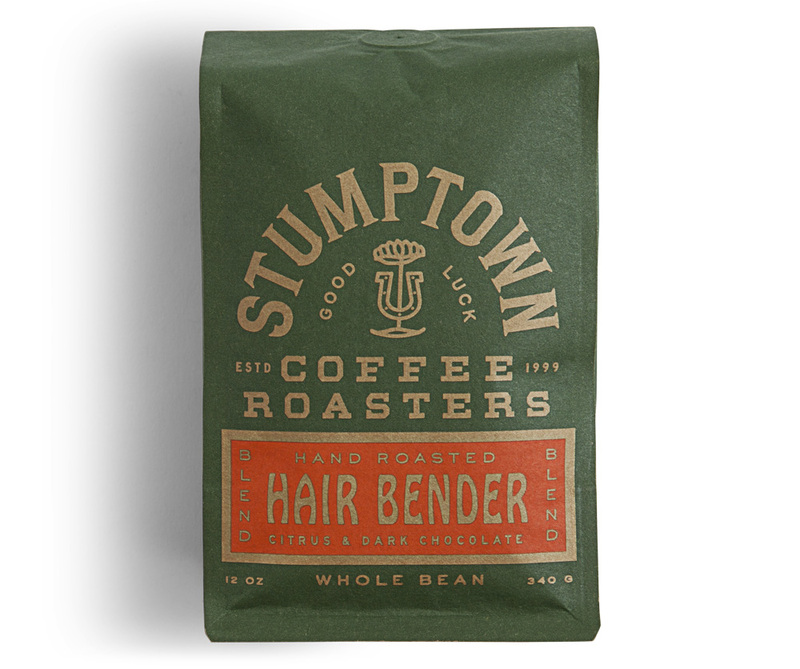 Our new bags preserve the quality of our very fine coffee with a one-way valve and a freshness seal. Someone we know hand-picked and then processed and then roasted every one of those beans and we’re going to make damn sure they are as fresh as possible before you drink them. These new bags are made of something called Biotre from a company called Pacific Bag Incorporated who are committed to environmentally sustainable practices. They are the best in the business and these bags are biodegradable (everything except the tie and the valve) and are made primarily of renewable wood pulp. In other words, thumbs up mother Earth. She’s the only one we’ve got. The new bags are so cool and hip, in a good way, it hurts. 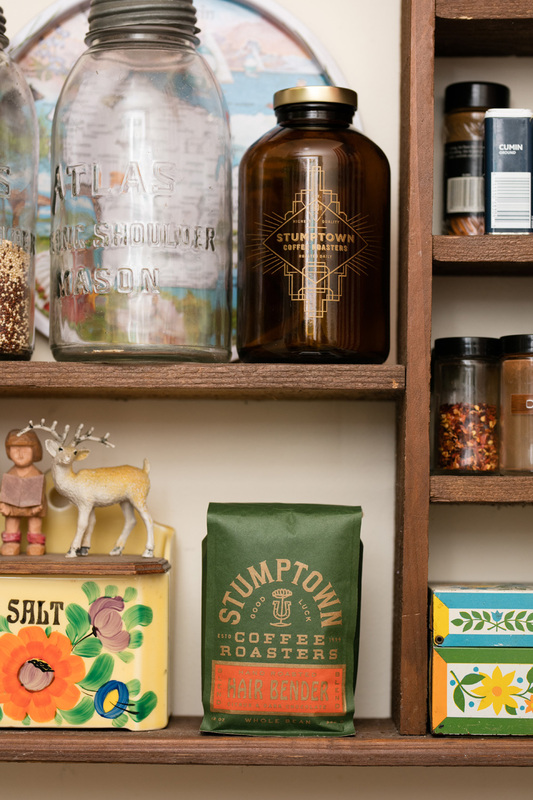 Stumptown has been at the forefront of the hipster, lumberjack-chic, salvage aesthetic and these bags take that to 11 in a fresh, completely unexpected way. The typography is absolutely weird and none of the choices — I count at least six different typefaces — have any reason to pair well together yet they do come together as an epic mix with, of all typefaces in the world, Hobo, as the leader. 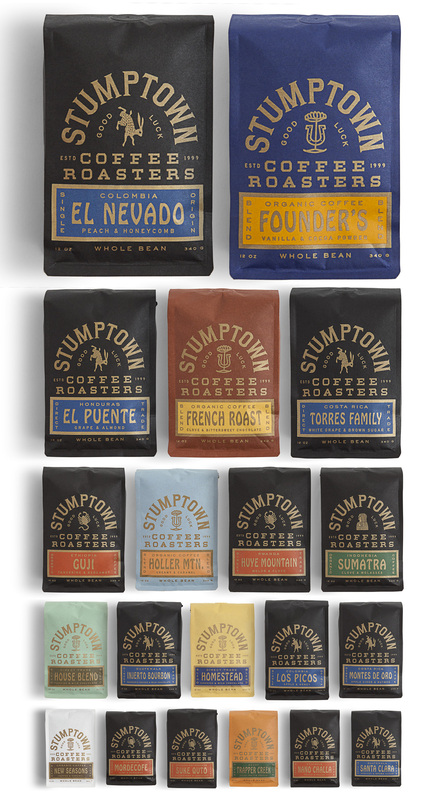 The bags are visually effusive and exciting while also having a subtle division between categories: Colored bags are for flavor blends with black for everything else where each color band behind the name defines the region (blue for Latin America, red for Africa, green for Asia). 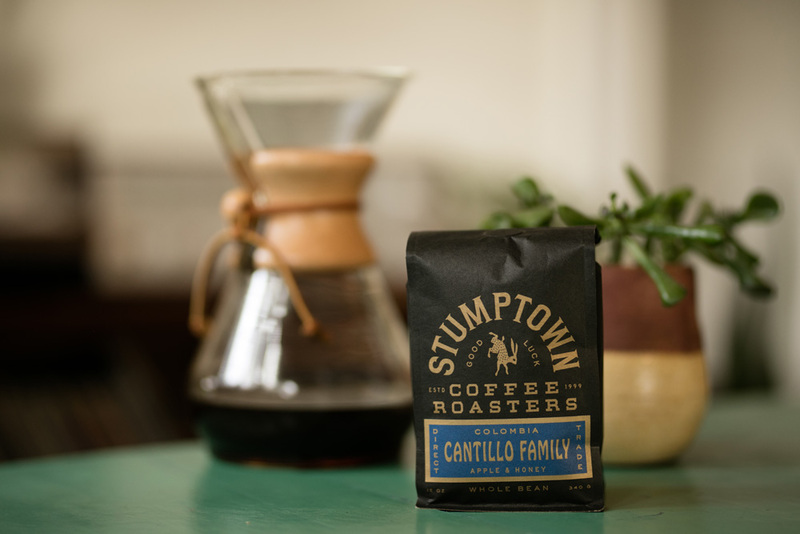 Stumptown coffee is not sold in major grocery stores, so it doesn’t have to be as clear-cut (or cookie-cutter) in its SKU-differentiating techniques. Overall: bitchin’. No need to overthink this one.